Orion Township is located in the heart of Michigan. The area is a beautiful mix of green and city life. Whether you are in the area to check out Bald Mountain Recreational Area or the Sea Life Michigan Aquarium, a toothache is a horrible thing to deal with. That being said, deal with it you must. Seek treatment as soon as possible to prevent further damage to the area. There are many quality dentists in the Orion area. Emergencydentistsusa.com has a list of local dentists and dental specialists from the Orion Township area here for you. This list has both general dentists and specialists such as orthodontists, periodontists, oral surgeons, cosmetic specialists, and more. Go over our list, choose the dentist of your liking, and give them a call to set an appointment. If you want further help, call our toll-free dental finder hotline. When you place a call to our hotline, a team member will assist you in finding a dentist right for your needs. Dental emergencies are a stressful time but we are here to help you through the situation. We can even make the appointment for you once you choose a dentist. Arrive at your appointment 15 minutes early to give yourself time to fill out paperwork. Bring along your necessary documents such as your ID, insurance card, and a list of your current medications. While you are visiting the Orion area, you can feel confident you will find the dentist you need to help you. You can chooses from a general dentist to any variety of specialist you require. If you have a toothache, it is recommended that you first consult with a general dentist to determine the severity of the situation. If they find it necessary, they can refer you to a specialist to help you. Description: Orion Oaks Dental’s top priority is to deliver you quality care in a comfortable setting. They believe you need to be listened to and to be kept informed of your treatments. The office provides a variety of services including bonding, dentures, extractions, root canals, cosmetic fillings, crowns, and more. The also offer emergency dental treatment. Description: Lake Orion Family Dentistry works offer a holistic metal free dentistry to improve your wellbeing. They offer a wide variety of services including general, cosmetic, holistic, children’s dentistry, and more. They offer convenient scheduling and payment plans. 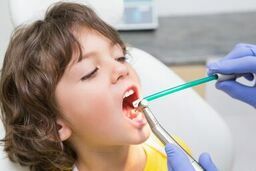 Description: Orion Family Dentistry is committed to providing you individual attention and personalized oral health care tailored to your needs. The office offers a full array of dental services such as bonding crowns, implant restoration, fillings, root canals, cosmetic dentistry, and more. They also offer emergency dental treatment. Any tooth pain that lasts you longer than an hour needs to be treated as an emergency. There could be a serious issue lurking that requires prompt treatment to prevent it from becoming a bigger problem down the road. If the pain is due to an accident you have been in, go to the ER first. Before you go see a new dentist, check on their license and credentials. This can be done in a manner of minutes by going to the Michigan Dental Association website and putting the dentist’s name in the search bar.